Ecology | Teyori Itilizasyon Pwogresis an Aksyon! You are currently browsing the category archive for the ‘Ecology’ category. uma ótima utilização do nosso tempo de carnaval! PROUT para capacitar novos instrutores de yoga. sistematicamente a partir deste momento. reforçar projetos que demonstrem a praticalidade de PROUT. espontâneas baseadas em tópicos discutidos durante todo o treinamento. Veja alguns momentos desses três dias nas fotos anexas. O povo precisa de mais! 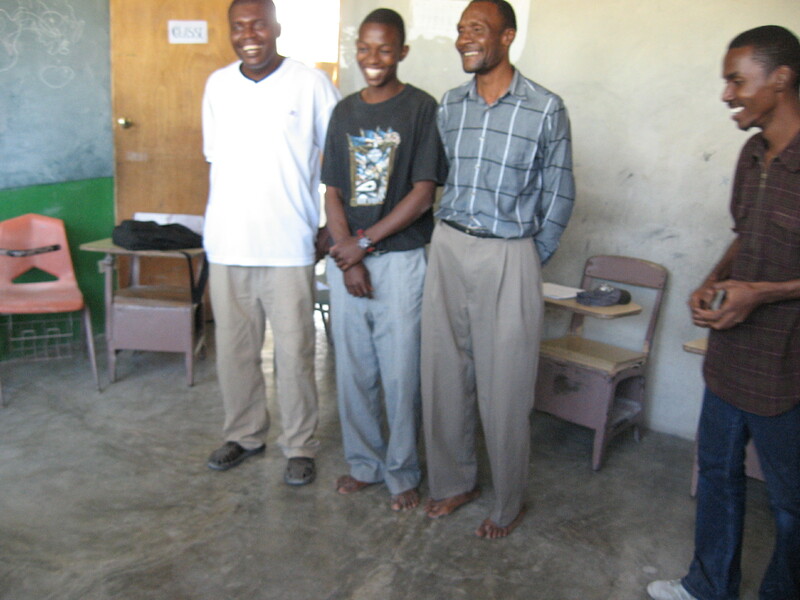 We wish to share with you many good news from a 3-day PROUT Seminar in Haiti which just finished yesterday. It was an incredible utilization of everyone’s carnival time! The seminar was intensive since early morning including individual and collective time for spiritual practices throughout the day. The spiritual base of PROUT was very much emphasized. 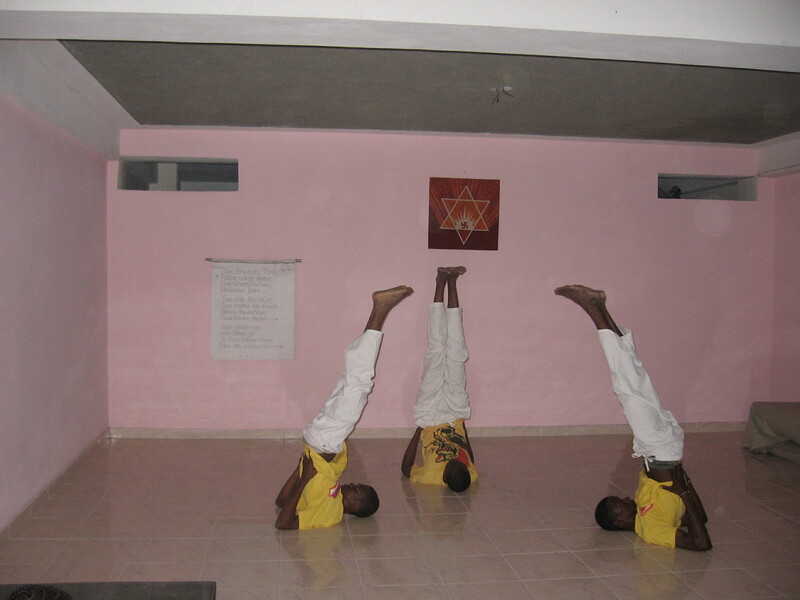 4 brothers got spiritual initiation and 3 had their meditation lessons reviewed and upgraded. In the first morning we had 2 classes on PROUT: Introduction to PROUT and Neo-Humanism and The 5 Fundamental Principles of PROUT. Following these we had a workshop on the theme of Sentiments and Unity, with games and group interactions to realize the binding and liberating qualities of sentiments such as geo-, socio-, human, anti-exploitation, universal and devotional. The participants were then divided in 3 groups and prepared for a TV interview to introduce PROUT. We shared techniques on public speaking to improve our presentation of PROUT through broadcasting media. On the second day we touched upon the vision of PROUT for different sectors of society, such as Education, Culture, Economy, Politics, Arts, Sciences and Media. The presentation on the Proutist view of those themes catalyzed an interesting discussion on local cultural identity, samaj, social pranah dharma, true cooperativism, etc. The participants expressed their thirst for practical solutions to present those views to the public and realize Proutist projects in Haiti. We then distributed a questionary to all participants to assess the main problems of Haiti in their view and the priorities for the propagation and application of PROUT. The last activity of the day was to define the activities we need to work on, individual responsibilities, tasks, the committee members for each working section and an action plan to develop those systematically starting from now. There are 27 programs which we outlined together as our agenda for the coming months, culminating with a PROUT Convention in Haiti on 18th to 20th of September. We will not only commemorate the 50 years of PROUT amongst us but also invite Proutists from the whole world to come to Haiti, visit various progressive social initiatives and meet together to inspire each other, develop strategies and reinforce projects which demonstrate the practicality of PROUT. In the last day of the seminar we had an exciting theatrical debate between three groups with three speakers each: the “status quo”, “the Proutists” and “the people”. Through a role-playing experiment we engaged everyone in a discussion to find out the weaknesses and strengths of all socio-economic systems available. The people had the role to judge which system is the best and the audience would put questions and comments through their representatives. We had the participants exchange seats and roles amongst them to experience the different psychologies personified in each group. Public visitors previously invited came to hear about PROUT for the first time and joined the debate. The general conclusion of the people was that PROUT was definitely the best system to be encouraged, but with one weakness: “Where is it established? We can’t see where are the practical models!” In the next phase we went though a brainstorming session on the main social problems of Haiti and the solutions we can work on through a PROUTistic platform. It helped us trace the initial scratch for us to develop and present a comprehensive PROUTistic program for Haiti. When we were closing the seminar with kiirtana, a few participants spontaneously stood up to dance and sing and all followed to create a strong positive vibration which permeated the whole atmosphere. Lastly but not least, the seminar evenings were decorated by the Nandaniika cultural performances. Nandaniika is the cultural and artistic branch within PROUTist Universal which touches the hearts of all through themes such as anti-exploitation, social consciousness and universal ideology. We had yogic asanas choreography, political jokes, music composed on the spot and freestyle collective performances based on the themes discussed throughout the seminar. I must emphasize that this seminar would not be possible if there was not such an urge amongst the margiis in Haiti to participate. It was all organized in less than a week with a total budget of less than US$ 100! With a few resources and everyone’s cooperation and coordination we could receive almost 30 people for 3 days, including guests and children from the streets who found their way in during our meal time. Some participants brought vegetables, fruits and other local products from their own gardens as an exchange for their inscriptions and we had delicious vegetarian meals a la Haitian cuisine. 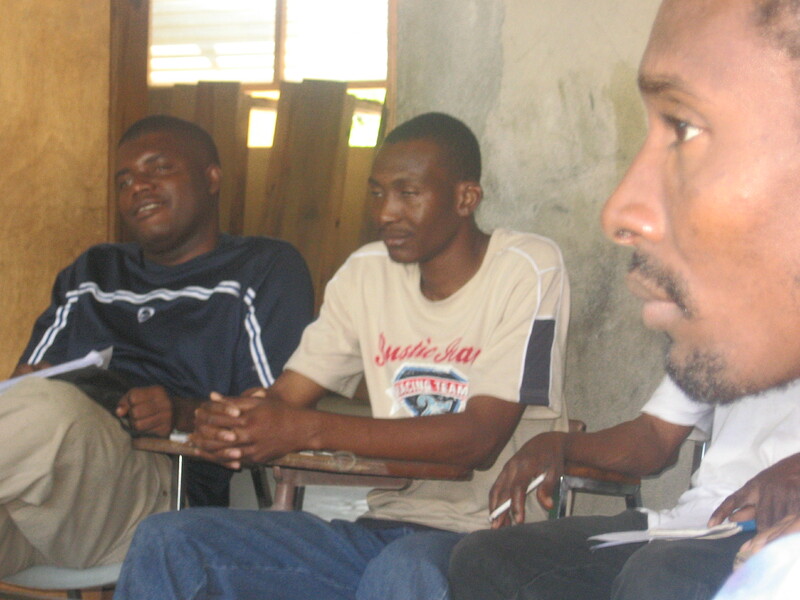 One of our current programs is to organize many more seminars like this throughout Haiti. As the team of Proutists in Haiti builds cohesion, we wish to connect with Proutists in the whole world to create a synergic movement to fill up the ideological vacuum permeating society today. Your support in all different forms for these seminars to take place despite and because of the economic crisis will be greatly appreciated. As you can see, cooperatively managing a few bucks we can create many smiling faces, hopeful hearts and benevolent minds to unveil the leadership which we need so urgently. We would like to thank our supporters in Haiti for welcoming us to the seminar place and helping us with the use of office space. We wish all a blissful PROUT Jubilee.